The stories translated below are taken from a 14th century hagiographic compilation by Abd Allāh ibn Asʻad al-Yāfiʻī (1298-1367), a Sufi ascetic and scholar originally from Yemen. The compilation concerns ‘Abd al-Qādir al-Jīlānī (1077-1166), the patron and eponym of the Sufi ‘order,’ the Qadiriyya, to which al-Yāfiʻī belonged. ‘Abd al-Qādir was, so far as can be made out, a Hanbalī preacher, jurist, and ascetic Sufi, although it is very unlikely he had any role in the founding of the Sufi ṭariqa that took his name. The handful of extant writings that are definitely his consist of an adab-book of proper religious practice, with some Sufi-tinged material, and two collections of sermons and discourses, many of which have a Sufic character reminiscent of, say, Abū Ṭalib al-Makkī’s Qūt al-Qulūb. As I plan on translating and posting some excerpts from these sermons and discourses, I will make no further comments here. Suffice to say, while his authentic writings have definite Sufic concerns and (some) technical vocabulary, they do not immediately stand out as exceptionally ‘mystical’ or even exclusively Sufi; many of the sermons could have been delivered by any pious, ascetically-inclined Hanbali preacher. There is little immediately apparent in these extant writings or in the earliest biographical notices of ‘Abd al-Qādir to prefigure the later—by a hundred years or so after his death—exaltation of the ascetic preacher to the heights of Sufi sainthood, as evidenced in the excerpts below. The writings of al-Yāfi’ī and others—he is drawing upon previous writers, such as al-Shattanufī (d. 1314)—then present, not so much the life and milieu of ‘Abd al-Qādir himself, as ideas and conceptions of sainthood relevant in the 13th and 14th centuries among the Qadiriyya and other Sufi ‘orders.’ Besides presenting the ṭariqa’s eponym as a saint of saints and hence worthy of emulation, veneration, and supplication, these sorts of accounts answer many potential questions about the nature of sainthood. What is a saint, or what ought a saint to be? How does the body of the saint ‘operate,’ and how does it differ from others? How does a saint manifest his internal, ‘mystical’ state of being-with-God into the outside, external world of bodies and society? Hagiographical works such as this one work to answer these sorts of questions; whatever the historical validity or historical ‘germ’ that may or may not lie behind such accounts, they relate the ways in which their writers, relators, and readers perceived the spiritual and physical worlds. A couple of things stand out in the stories I have selected here. Linking all of them together is the theme of the interaction of the spiritual state with the physical body. Sometimes this interaction can be ecstatic and even uncontrollable, as in the story of ‘Abd al-Qādir’s involuntary apparating, as it were. But more prominent in these selections is the theme of bodily integrity and autonomy on the part of the saint. Such a concern explains the rather curious juxtaposition of control of bodily functions and the rejection of bodily obeisance towards holders of temporal power. In both cases, the saint is in charge of his bodily autonomy; he regulates it as he wills, being subject to neither internal forces of nature, nor external forces of temporal power. Nor, as we see in the slightly unnerving story of the shape-shifting jinn, can uncanny forces disturb the saint’s body, or his interior, spiritual state (which, as we see throughout, is intimately linked to his exterior person). 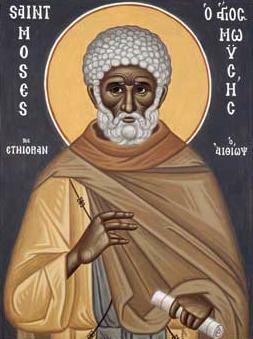 Saintliness means, in the world of these accounts, a remarkable degree of personal control and indeed autonomy on the part of the saint, translated into the outer world through his body and his control of it and the space it inhabits (including the bodies and even thoughts of others in the saint’s vicinity). Even terrifying viper-jinn cannot violate the physico-spiritual stability and control of the saint. 123rd Account: According to the Sharīf Abū ‘Abdallah Muḥammad ibn al-Khiḍr ibn ‘Abdallah al-Ḥusanī al-Mawṣilī: My father related to me: he said: I accompanied our master Shaykh Muḥya al-Dīn ‘Abd al-Qādir for thirteen years, and I never saw him during that time wipe his nose nor spit, nor did a fly ever alight on him. And he never stood up for important people, nor for any one possessing goods or temporal power, nor did he sit upon the rugs of kings. And whenever the caliph, or vizier, or any other respectable person came to him, if he was sitting, then he would rise and enter into his house, lest he stand up for them. But when he left his house, they stood up for him, and he spoke good words with them, and he went to great lengths in exhorting them, and they accepted it, forming a circle before him humbly and meekly. And ‘Abd al-Qādir used to say: The states (al-aḥwāl) used to, in my beginning, overcome me, conveying me. So I resisted them and mastered them, so that I vanish from them and from my essence (wujūdī), and I cross over bounds and become unaware. And when that passes from me, I find myself in a place far distant from where I was. One time the state (al-ḥāl) overcame me in the streets of Baghdad, and an hour went by and I was unaware—then it passed from me and I was in Shushtar, and between it and Baghdad is a twelve-day journey. I remained meditating on my affair. 126th Account: According to Shaykh Abū Bakr ‘Abd al-Rizāq, who said: I heard my father, Muḥya al-Dīn ‘Abd al-Qādir, say: One night I was in the mosque of al-Mansur Usli, and heard the sound of something moving along the floor—then there came an enormous viper, and it opened its mouth in the place of my prostration [i.e. in the place the head touches the ground] and when I desired to make a prostration I repelled it with my hand and completed my prostration. When I sat down for the shahada, it crawled over my thigh, rose to my neck, and coiled itself around it. Upon concluding my prayers, I no longer saw it. The next day, when I entered the street facing the mosque, I saw a person whose eyes were cloven longways, and I knew that he was my jinn. Then he said to me: ‘I am the viper you saw yesterday. I have tried many of the saints in the same way I tried you, and none of them stayed firm the way you stayed firm. There were among them those who were disturbed exteriorly and interiorly [that is, physically and spiritually], and those who were disturbed interiorly while they remained firm exteriorly—but I perceived that you were not disturbed exteriorly or interiorly!’ Then he asked that he might be induced to repent by my hand, so I induced him to repent. 132nd Account: According to Shaykh Abū Ḥafṣ ‘Umar ibn Ḥassan ibn Khalīl al-Ṭaybī, who said: I was present at the session (majlis) of ‘Abd al-Qādir, God be pleased with him, and I was sitting alongside him, when I saw something in the form of a crystal lamp descending from heaven so that it drew close to the mouth of the shaykh, then it went back, ascending rapidly. This happened three times. I couldn’t restrain myself from rising to tell others do the excess of my wonder, but he cried out to me: ‘Sit down! These sessions are held in trust.’ So I sat and did not talk about it until after his death. ʻAbd Allāh ibn Asʻad al-Yāfiʻī, Khalāsa al-Mafākhir Fī Manāqib al-Shaykh ʻAbd al-Qādir, ed. by Aḥmad Farīd al-Mazīdī (Sirīlānkā: Dār al-Āthār al-Islāmīyah lil-Ṭibāʻah wa-al-Nashr, 2006), 199, 201, 205. On Yāfiʻī see: Geoffroy, E.. ” al-Yāfiʿī.” Encyclopaedia of Islam, Second Edition. Brill Online , 2012. On ‘Abd al-Qādir, see, besides his EI2 article and the article on the Qadiriyya, Bruce Lawrence’s article for the Encyclopedia Iranica, available here: http://www.iranicaonline.org/articles/abd-al-qader-jilani; and Jacqueline Chabbi, ‘‘Abd al-Kadir al-Djilani personage historique: Quelques Elements de Biographie’, in Studia Islamica, No. 38 (1973). There are multiple works dealing with the various permutations of the Qadiriyya; among resources available on-line, see Martin van Bruinessen, “Shaykh `Abd al-Qadir al-Jilani and the Qadiriyya in Indonesia”, Journal of the History of Sufism, vol. 1-2 (2000), 361-395, available here: http://www.hum.uu.nl/medewerkers/m.vanbruinessen/publications/Qadiriyya_Indonesia.htm. His article includes a discussion of, among other things, Indonesian comic books depicting stories of ‘Abd al-Qādir. There are a number of works attributed to ‘Abd al-Qādir that are most certainly not his, including an interesting, but clearly much later, treatise called Sirr al-Asrar, that would seem to date from the 13th or 14th century; the peoms and litanies attributed to him are also probably considerably later in origin. For a recent treatment of the uses of Sufi hagiography, and concepts and uses of the body, in the context of late medieval Persianate Sufism, see Shazad Bashir, Sufi Bodies: Religion and Society in Medieval Islam (New York: Columbia University Press, 2011). My translation of this passage is rather tentative. To be honest, I am not entirely sure what to make of parts of it—it does seem clear, however, that there is something about the saint’s mystical ‘states’ that cause extranormal bodily experiences.